I know many of us want to make flags for the Vancouver "To Boston with Love" project. The deadline has been moved to May 21. Our original plan was to collect them at the Sew-In, but this will be cutting it too close. 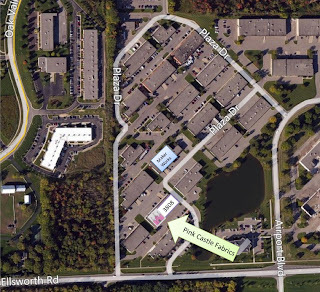 Please either deliver your flags to Pink Castle Fabrics by Wednesday, May 15 (Brenda has offered to mail all collected flags as a bundle), or feel free to mail them at your convenience. Pam's been cookin' up more awesome bee blocks! Be sure to check out Dorie's latest Laurel - with self-printed details! And Lynn made her daughter a really sweet dress. We welcomed many new members at our meeting last night, the first at Pink Castle Fabrics! It was a lot of fun and thanks to everyone for participating and sharing all of your lovely creations! Please read all of the minutes below - even if you attended the meeting. Names of people responsible for future tasks are highlighted. There are also a lot of links below to challenges and projects that you'll need to click if you want to participate. Our Next Sew-In is on May 19th (special date!) at MAKER WORKS from 12pm - 4pm. Brenda will contact MakerWorks to ensure our reservation of the space. Please bring your Vancouver pennants if you plan on participating. Our Next Meeting is on May 29th at 6:30pm at Pink Castle Fabrics! - Membership: Rossie collected forms and dues from new members. There are 5 more beds available - spots are available to members and non-members alike on a first-come, first-serve basis. If you or a friend is interested in attending, please contact Ginia. More information about the retreat HERE. 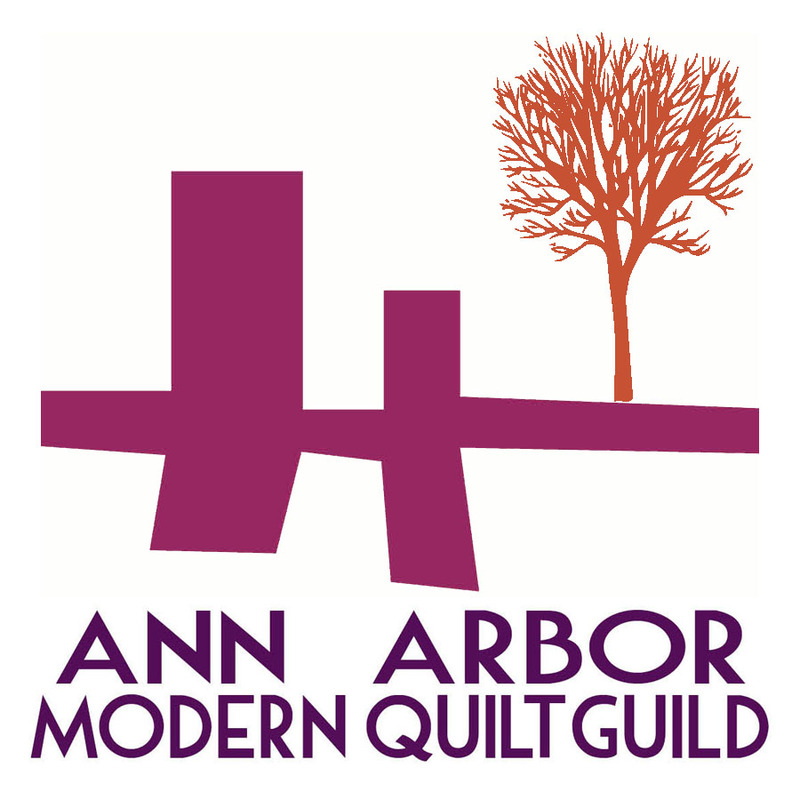 After reviewing the survey responses and talking with the membership, the A2MQG Board voted and decided we will join the National Guild in July. The National Dues will come from our collected dues, so there will be no additional cost to our members. If there are any concerns about joining the National Guild, please contact Brenda or a fellow Board Member. If this decision affects anyone's interest in joining the A2MQG, but dues have already been paid, please contact Jen B. 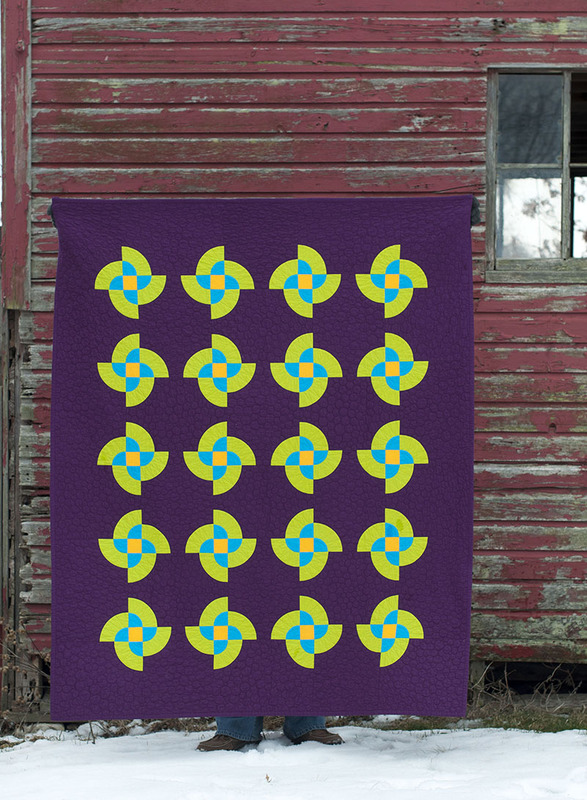 - The Northwest Ohio Modern Quilt Guild is hosting an Art Spark challenge. More details TBA. Our guild is interested in doing a field trip to the "Michigan Modern™: Design that Shaped America" exhibit at the Cranbrook Art Museum. Details TBA. These pieces could serve as inspiration for an ArtSpark challenge entry. 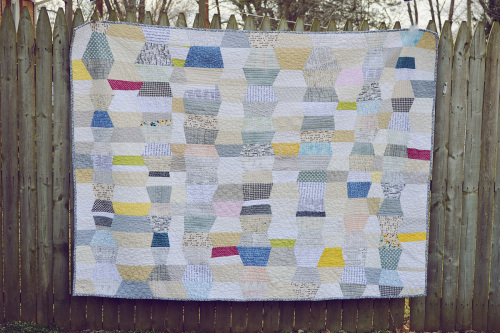 - Our Spoonflower quilts are complete and ready for pictures. We will be donating our quilts to the Habitat for Humanity of Huron Valley via an Ebay auction. 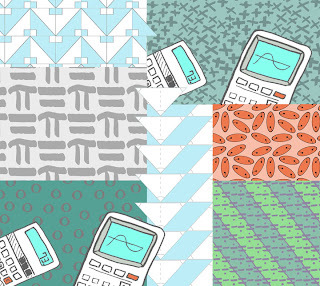 Our point of contact at Spoonflower has left the company (!) and we are not getting a response regarding a Spoonflower blog post. We are progressing with our auction plans. Rossie will contact the membership about scheduling a Photo Day around Ann Arbor and Habitat for Humanity homes in the area. There was an idea to have the quilts on display before the auction. Jenna will work on pursuing this. The Ozone House is taking donations for their auction. Jenna will email the membership with details. 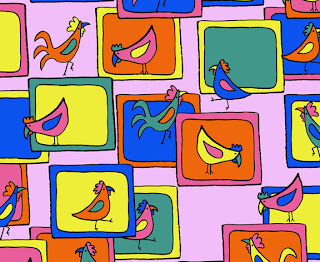 There was a proposal to donate our Jay McCarrol Habitat quilts (from last year!). 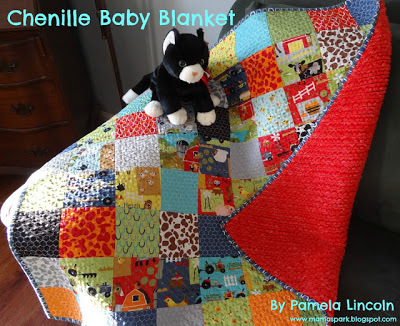 Ginia has the other quilt. Mary volunteered to do the binding. Still need a volunteer to do the backing. 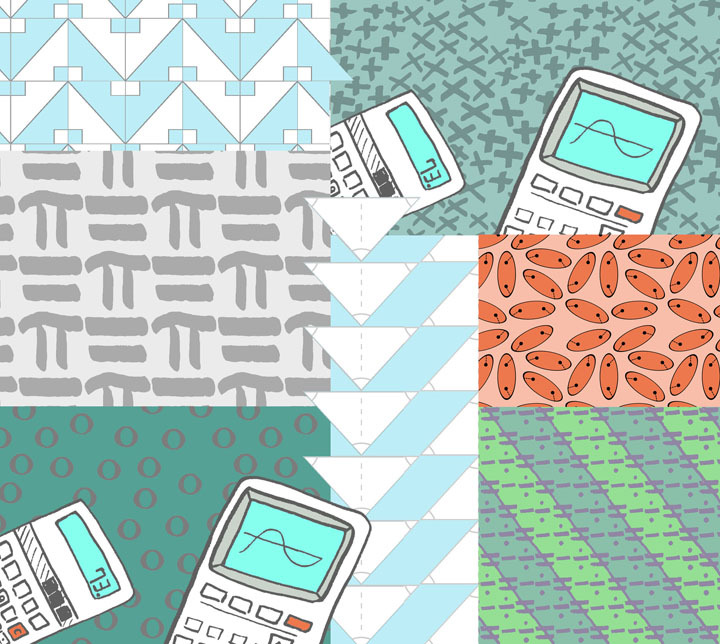 Who will quilt these quilts? Jen. B will ask Kathy what her charity rate would be. - Our Library is growing and donations are always welcome. Amy is developing her system for loaning and keeping track of borrowers. She will email Jenna the database so that we can post it on the website. The Boston Modern Quilt Guild is asking for blocks to be donated for their Quilts for Boston project. More details HERE. 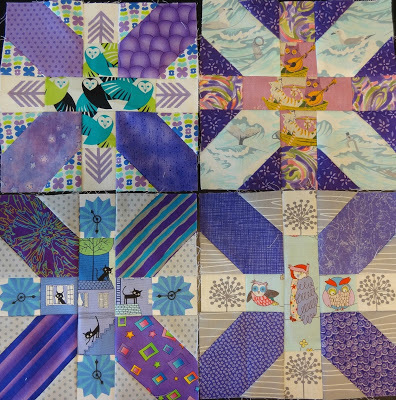 If you are able to create any blocks, please bring them to the May meeting where we will collect all of our blocks and mail them in one package to Boston. 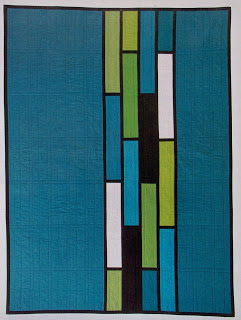 The Vancouver Modern Quilt Guild is also coordinating a project for Boston. More details HERE. Please either deliver your flags to Pink Castle Fabrics by Wednesday, May 15 (Brenda has offered to mail all collected flags as a bundle), or feel free to mail them at your convenience. 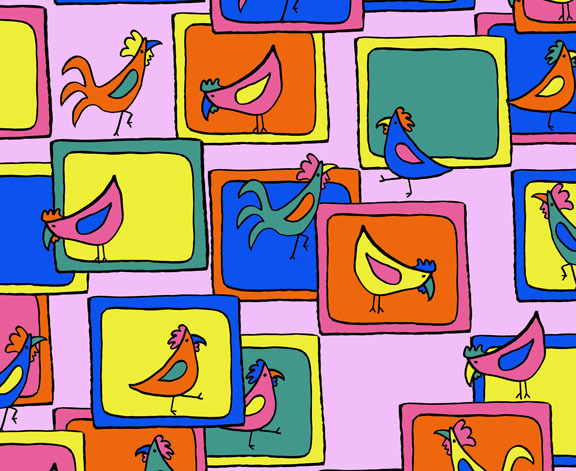 - Round Robin: Amy, Mary, Pam, and Ginia added blocks into our rotation! 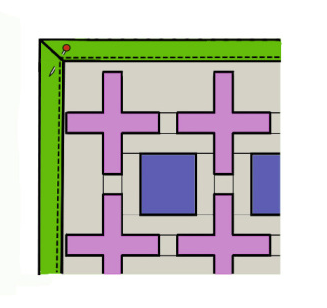 Anyone can add blocks at any time, just contact Dorie in advance if possible. A blog post will soon be posted with pictures of all the entrants and a voting poll. The winner (voted by guild members) will win batting, thread, and some fabric! The winner will be announced at the next meeting. Update: The map for Pink Castle has been updated below. Also, just a reminder that some activites (like the fabric grab, winning the Madrona Road challenge, borrowing from the library) are only available to members. You can participate at our Wednesday meeting as long as you touch base with Rossie first and fill out a form. Thanks! There will be an A2MQG meeting on Wednesday April 24 at 6:30pm. There are five points below, please read them all. Please bring a chair if you have one! 2. We'll be showcasing our Madorna Road Challenge quilts at this meeting. 3. We'll be doing a fabric grab. 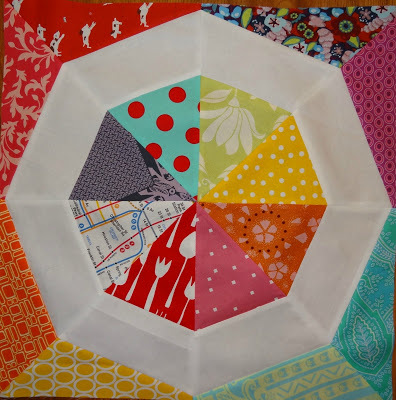 Please bring any quilting fabrics from your stash that you no longer want/need. These will be up for grabs at the meeting, and any left over will be taken by Lynn to donate to the fabric collection of her other quild for charity quilts. 4. Please bring any quilting or sewing books you have that you would like to donate to our Guild Library. 5. We'll be doing our Round Robin so please bring your blocks! Thanks everyone - hope to see you there!! There will be another post soon with a slew of reminders, but for now let me just say I'm SO looking forward to our meeting on April 24. The board met a couple of days ago to plan a couple of things, and I can tell that this get together is going to be FUN. YAY! Emily has been sewing a TON of kids clothes and has a Parsley Pants review on the Kids Clothes Week blog! And Dorie made a Laurel Jumper and it's beautiful! Hey y'all, it's time for the weekly round-up! 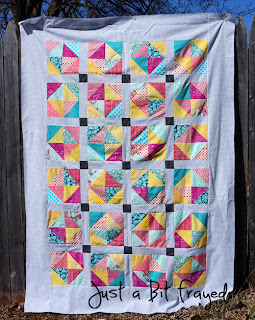 Pam was featured on Moda Bake Shop with a cute project! Congrats! 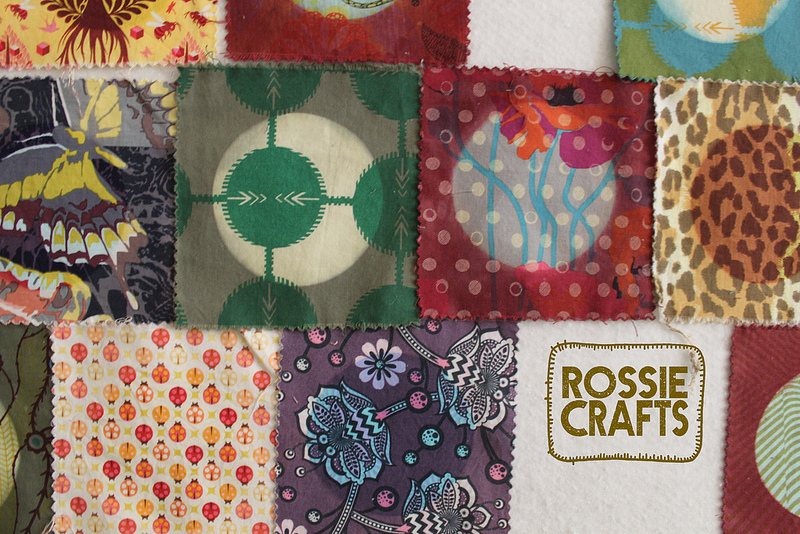 Rossie posted about a new quilt with dyed and bleached fabric she's working on. 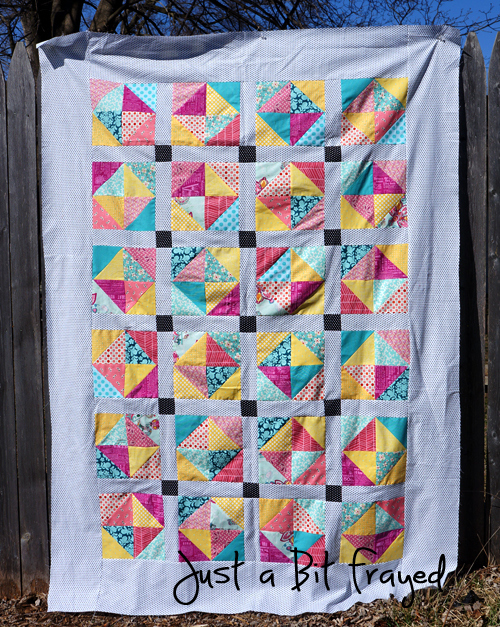 Also, Ginia is showcasing some vintage, Spring inspired quilts on her blog! That's it for now! There is FOR REAL a sew-in on Sunday from 12-4pm at MakerWorks. For real. No joke. 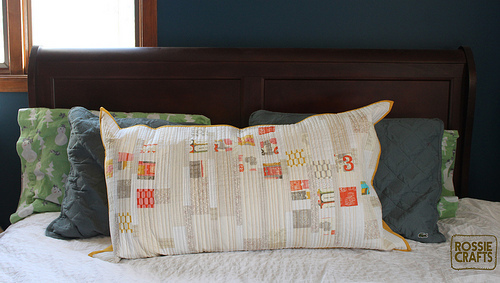 The Modern Quilt Guild is opening membership to the local branches. We would like to vote on this issue at the May 2013 meeting. Please read the pros and cons below, and if you are a member of the A2MQG, you will soon receive an email survey. Please also complete that survey and continue this discussion in the comments. 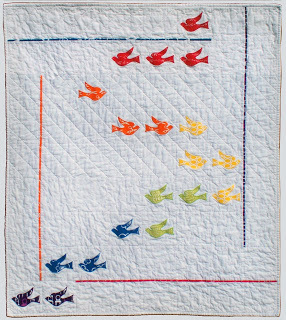 Being a part of the exciting Modern Quilting movement, with the support of the MotherShip and other local guilds. Another way to stay plugged in to Modern Quilting trends and developments, as well as another venue where new skills can be learned. The ability to be protected under the MQG insurance. Participation in challenges similar to Madrona Road and the Kona Cotton challenges - fabric provided by the MQG. All MQG branches will get first-wave opportunities for reserving spaces at events and functions before reservations and ticket sales are open to the public. A cost of $250 for our guild at our current membership size. $15 per person - is this cost worth the benefits for the majority of our members? Little fear of losing touch with the MQG online community, thanks to other social media forums and blogs. Concerns about being under the umbrella of another organizations 501(c)3 status. Guilds that have 501(c)(3) status through the national guild and would then be under "direct supervision and control" of the national organization and could be subject to audit. Are we comfortable joining when there are still so many questions? When will elections be held for the MQG? How will those elections work? What will the website look like? Will everyone use it and will it be easy to understand? Will there be enough MQG functions that are affordable enough and convenient enough for our members to participate? If we choose to join, the easiest way to manage the cost would be to increase our current dues by $15 and ask members who have already paid to chip-in an additional $15. In regards to the cost, we could potentially cover our fee through a fundraiser if there are enough members concerned about paying the fees out of pocket. We could deduct the cost from our current paid dues, but that may delay our website development and our ability to host lectures or classes throughout the rest of the year. We could attempt a Two-Tier membership scenario where those who wanted to opt-out of joining the MQG could remain members of the A2MQG at no additional cost. Those who wanted to join the MQG would pay the fees and get access to the privileges. Would this be difficult to operate? Would it be off-putting or isolating to our lower tier members? If you have thoughts or comments, please leave a comment below. Members of the A2MQG have been sent an email survey to gauge our current interest in this issue. For the ART SPARK challenge, the NW Ohio MQG is going to the Toledo Art Museum on Sunday (TOMORROW). They are meeting at 12:30 outside the gift shop at the museum. Sorry the announcements have been so crazy, you guys! UPDATE - THE SEW IN IS ON APRIL 14TH AND JENNA NEEDS MORE SLEEP. 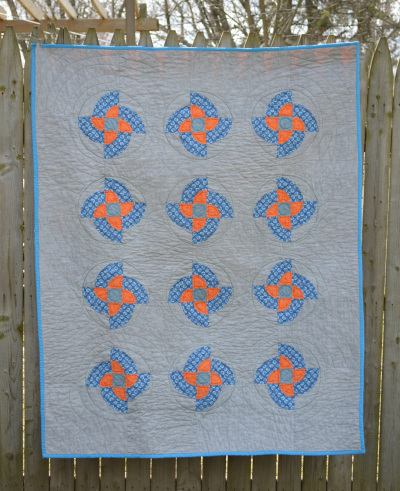 Brenda finished this lovely "Sweet Diamonds" quilt top. Isn't the sashing awesome? Pam's cranking out these super cute Japanese X and + blocks - love the colors! Dorie made a pretty Tova and she is also working on making a website for Kids Clothes Week, which is totally rad!